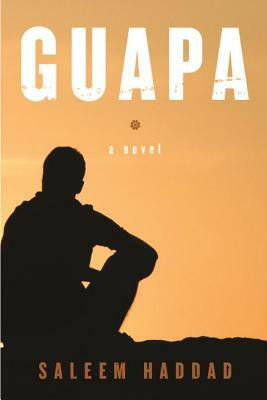 Set over the course of twenty-four hours, Guapa follows Rasa, a gay man living in an unnamed Arab country, as he tries to carve out a life for himself in the midst of political and social upheaval. Rasa spends his days translating for Western journalists and pining for the nights when he can sneak his lover, Taymour, into his room. One night Rasa's grandmother — the woman who raised him — catches them in bed together. The following day Rasa is consumed by the search for his best friend Maj, a fiery activist and drag queen star of the underground bar, Guapa, who has been arrested by the police. Ashamed to go home and face his grandmother, and reeling from the potential loss of the three most important people in his life, Rasa roams the city’s slums and prisons, the lavish weddings of the country’s elite, and the bars where outcasts and intellectuals drink to a long-lost revolution. Each new encounter leads him closer to confronting his own identity, as he revisits his childhood and probes the secrets that haunt his family. As Rasa confronts the simultaneous collapse of political hope and his closest personal relationships, he is forced to discover the roots of his alienation and try to re-emerge into a society that may never accept him. Saleem Haddad was born in Kuwait City in 1983 to a Lebanese-Palestinian father and an Iraqi-German mother, and educated in Jordan, Canada, and the United Kingdom. He has worked as an aid worker with Doctors Without Borders in Yemen, Syria, and Iraq, and currently lives in London, where he advises on inclusion of refugees, women, and young people in the transition and peace processes of the Arab Spring.